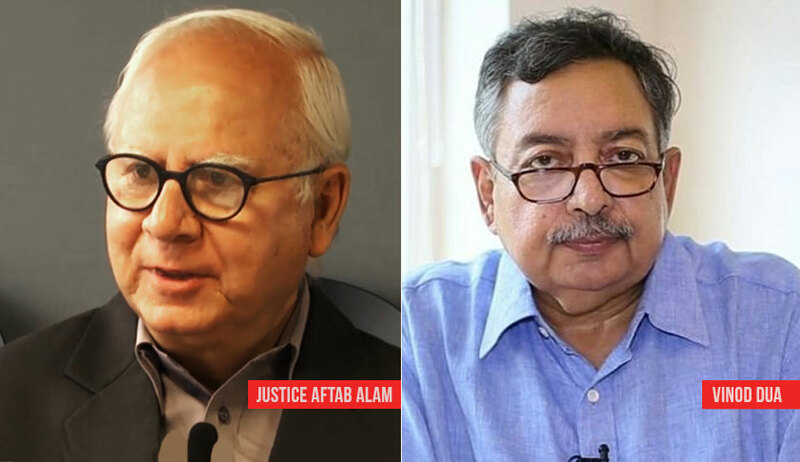 The Wire has constituted an external committee headed by former Supreme Court judge, Justice Aftab Alam to probe the sexual harassment allegations levied against its consulting editor Vinod Dua, by film maker Nishtha Jain. The committee also comprises of former Patna High Court judge Justice Anjana Prakash, retired Delhi University professor Neera Chandhoke, retired Institute of Economic Growth professor Patricia Uberoi, and former foreign secretary Ambassador Sujatha Singh. As per a statement issued by The Wire, the reason for establishment of an external committee is that the alleged incident dates back to 1989, when The Wire did not exist. “Yet both Ms Jain and Mr Dua, denied the charges, are entitled to have the matter examined impartially and competently,” it says. On October 14, in a Facebook post, Ms. Jain had named Mr. Dua, accusing him of demeaning her and cracking lewd jokes during a job interview, and stalking her. She is now learned to have formally consented to the committee on October 18, and has agreed to submit her complaint by October 26. The founding editors of The Wire have also issued a statement apologising for the manner in which the allegation was trivialised in Episode 318 of Mr. Dua's programme Jan Gan Man Ki Baat: Rafale Deal and Rising Fuel Prices. In the episode, Mr. Dua had responded to Mr. Jain’s allegations in a trivialising and crass manner. The Wire has now removed the recording from its platforms, and has instead included the statement in its report on Mr. Jain’s allegations. In their statement, Siddharth Varadarajan, Sidharth Bhatia and MK Venu also stated that Mr. Dua’s show will now remain suspended for the duration of the external committee's probe into the sexual harassment allegations. Their statement further addresses several other questions, such as those pertaining to the claims that The Wire endorsed Mr. Dua’s claims, in his show, that“keechad (muck)" has been flung on him.